Front legs (Paletas) from the Alpujarra cured by Nevadensis. The legs are prepared with pork and seasalt without any form of additives. Each leg is selected by our traditional experts. 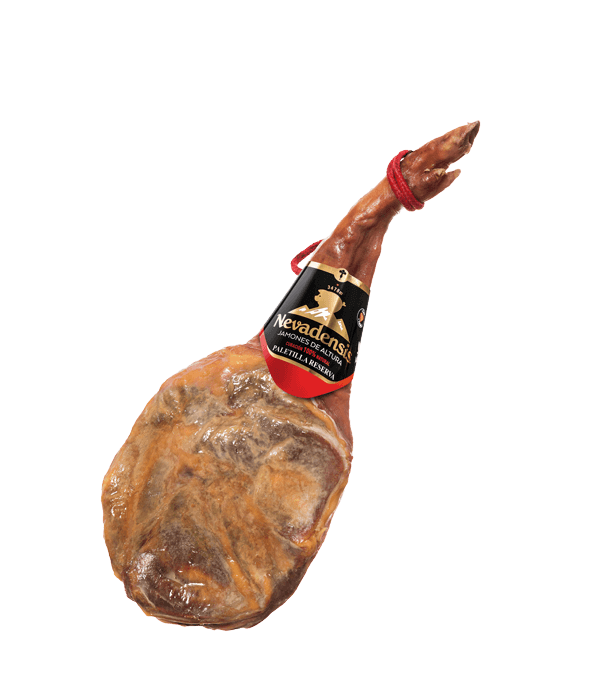 Paleta reserva (front leg) Nevadensis with a minimum of 12 months of natural curing.